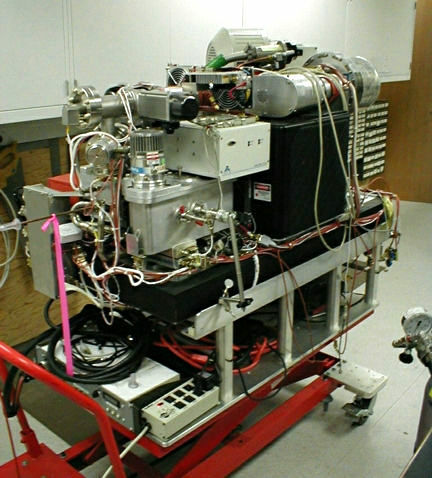 The NOAA PALMS instrument measures single-particle aerosol composition using UV laser ablation to generate ions that are analyzed with a time-of-flight mass spectrometer. The PALMS size range is approximately 150 to >3000 nm and encompasses most of the aerosol volume. Particle mass spectra allow individual aerosol particles to be classified into broad compositional categories: sulfate-organic mixtures, biomass burning, elemental carbon, mineral dust, sea salt, meteoric, industrial, and oil combustion. The size-dependent composition data will be combined with aerosol counting instruments from the Aerosol Microphysical Properties (AMP) group to generate quantitative, composition-resolved aerosol number and volume. Background tropospheric concentrations of climate-relevant aerosol including mineral dust, sea salt, and biomass burning particles are the primary foci for the ATom campaigns. PALMS also provides a variety of compositional tracers to identify aerosol sources, probe mixing state, track particle aging, and investigate convective transport and cloud processing.